Apply to Art at the Point! 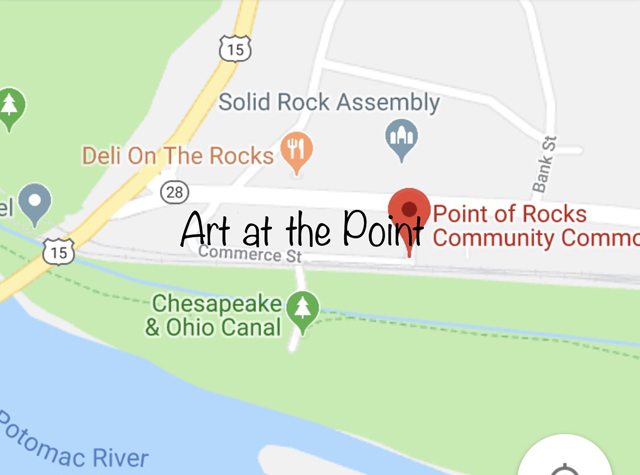 Please find below the 2019 Art at the Point Artist Applications. Download by clicking the button. Either mail or email your application by following the instruction on the application. You may include your application fee in your mailed application, or you may submit you fee via PayPal. Once you have selected the appropriate fee option you will be directed to PayPal's secure web site. The Point of Rocks Ruritan Club will be on hand to grill burgers and dogs! If you'd like to volunteer with a great group of community-minded people and have a ton of fun, please contact us at aatp@pointofrocks.org.